In a pleasant and relaxed environment, the professional team at Midwest Surgery Center will gently guide you through every step of your surgical procedure. Midwest Surgery Center staff are expert anesthesiologists, nurse anesthetists, registered nurses, and certified operating room technicians who all work together to make your surgical experience as positive as possible with the highest, quality care available. The surgeons at the Midwest Surgery Center are all board-certified. Midwest Surgery Center performs over 6,000 outpatient surgical cases annually. At Midwest Surgery Center, we define quality as the combination of safety, service, and value. If you did not meet with our surgery scheduling coordinator, please call 651.632.9700 to schedule your surgery. Our office will verify coverage and obtain any pre-certification from your insurance company if necessary; please have your insurance card available, if applicable, when you call. If you have scheduled your surgery, you will be contacted by Midwest Surgery Center staff 1-2 days prior to your surgery date with the arrival time and any further pre-operative instructions. If you or the patient is ill pre-operatively, please contact our office for assistance as surgery may have to be rescheduled. Call our surgery scheduling coordinator for assistance to cancel/reschedule surgery Monday–Friday 8:00am–5:00pm. PLEASE NOTE: If after hours, call 651.632.9700 and leave a message with our answering service. 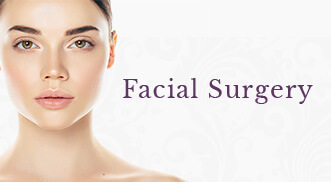 Our facial plastic surgeons require follow-up with you after your surgery. In the event that your post operative follow-up clinic visit was not scheduled at the time your surgery was scheduled, please contact our office to arrange for a follow-up post operative clinic visit. All surgery patients are required to have a pre-operative physical by their primary care physician or surgeon prior to surgery. After scheduling your surgery, please call your primary care clinic to schedule your pre-operative physical examination and/or required lab tests (noted on your pre-op physical form provided by your facial plastic surgeon). You have been provided your pre-operative form to provide to your primary care physician. This form must be given to your primary care physician at the time of your pre-operative examination. If you misplace this form, please contact our office or facial plastic surgery patient care coordinator 651.632.9700. History & Insurance: You will be contacted by a nurse at Midwest Surgery Center one to two working days before your surgery. The nurse will review your medical history, give you a time to arrive at the Center, answer any questions regarding your surgery and obtain medical information from you. If a nurse has not reached you by 12:00 P.M. the day before surgery, please contact Midwest Surgery Center at (651)642-9199. If you have any questions regarding your insurance and registration forms, please call the Midwest Surgery Center Business Office at (651)642-1106. Children’s Surgery: If you have an infant or toddler using a bottle, bring an empty bottle to the Center. We will provide a clear liquid for your child after surgery. A favorite toy, blanket, or pacifier should be brought to the Center to accompany the child to surgery. Tests: Your physicians will let you know if any laboratory tests are needed. Be sure to bring all required lab/EKG results with you to Midwest Surgery Center. Medications: When the admitting nurse calls you before your surgery, they will need to know what your daily medications and dosages are. 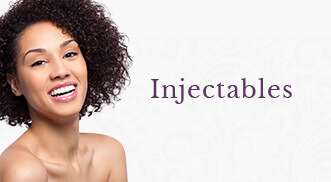 They will instruct you on the medications you may need to take before your surgery. After your surgery, our thoughtful nursing staff in the recovery area will care for you until you are ready to go home. You will be given post-surgical instructions and a follow-up appointment will be scheduled for you if one was not scheduled at the time you scheduled surgery. Either your doctor or your anesthesiologist must approve your discharge. If complications, call your physician 651.632.9700 and they will advise you if further treatment is necessary.